North West first with new plates! THE initials NW will no longer appear on North West car registration plates – BB will be displayed instead. BB stands for Bokone Bophirima. The new number plate system will have security features making it very hard for criminals to clone vehicles and use fake plates. The province is the first in the country to launch the new system. It will be rolled out to the rest of the country next year. North West launched the new number plates at the Moretele Municipality yesterday. Premier Supra Mahumapelo said: “Criminals have taken advantage of the country’s outdated and inefficient registration system to make unlawful gains. “Vehicle cloning by means of fake number plates is on the increase, and law-abiding road users fall victim as they face fines and tolls that are not theirs. “The new system will record and control the manufacture, distribution and issue of uniquely encoded number plates to motorists. “The manufacturer will be using barcode technology to make it impossible to clone the plates. “The new system also provides the ability to automate and register the life cycle of every number plate. 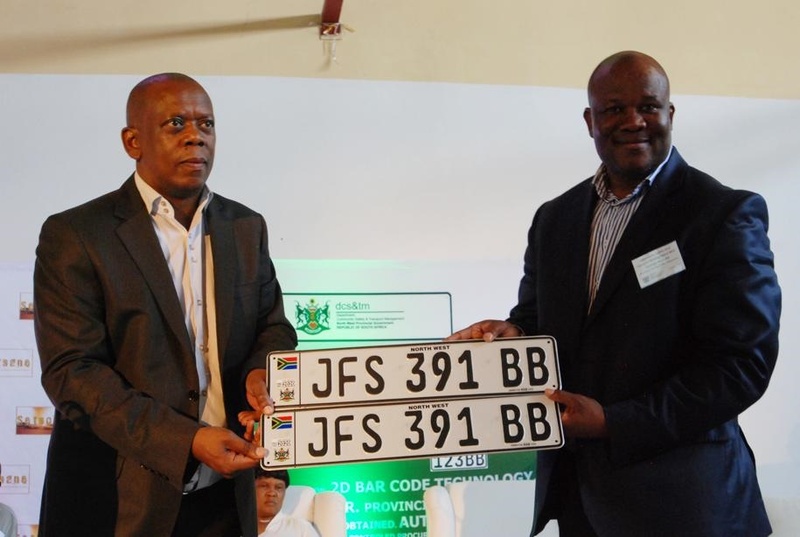 “The first new number plates will be issued to the public in February.